From here, a wooden table located in front a high window surrounded with white frames, I started to think how necessary is to bring back the arts and music to the school. I am watching through the window five kids playing in the playground, while the snow is falling down slowly on the top of some random pieces of art. 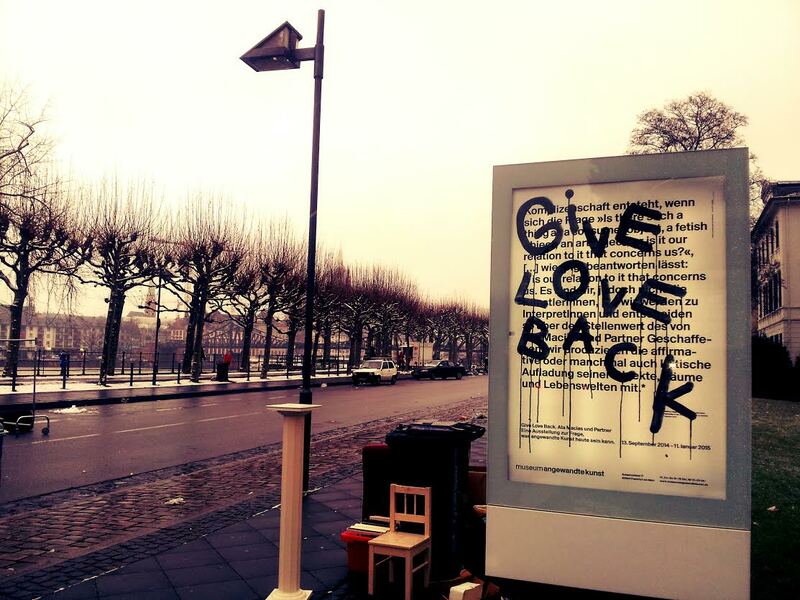 There is some graffiti in black, intentionally located there, which says: Give love back! Unfortunately, I am not an artist; maybe an amateur in some disciplines as creative writing or painting. I am learning to control the creative process in writing activities (such poetry, stories…) but I do not with painting. The reason is simple; the inspiration comes and suddenly disappears. As a clinical psychologist who is focused on the learning process, I acknowledge in some situations I did not know how to react with certain patients. I still remember the first person who told me “I do not want to live anymore”. It was tough. My favorite sweater has a quote in white color: “La vie est belle”. Beauty has a beyond doubt relation with perception. I still do not know why we are not teaching at school how to perceive life in such way, and how express ourselves properly. Perception is like magnifying glass strengthened over the years. Music, theatre and art enhance our cognitive skills, including literacy, language, executive functions and also socio-emotional skills. The study of art and the study of science have much to offer each other. I have used the art as a tool. I still do. It can be made with paint, crayons, colored pencils, markers, fabric, etc. even a storytelling or an improvised play. Either side of the bag can be used to express certain things, emotions, feelings or fears. I see the art as pure human expression. All expressive therapies involve action, each also has many differences. Visual experiences are more private and insolated; music often taps feeling and may lend itself to socialization; dance or movement implies the opportunity to interact and form relationships. It depends of the application, practitioner, client, setting or objectives. For a child who has limited language, an elderly person who has lost the ability to talk, a person who has suffered an stroke or a trauma victim who may be unable to put ideas or feelings into speech, expression through art, movement or a play can be the way to convey oneself without words. Nobody wants to be a patient, a person in need. Some people just need a chance to “create” something and therefore feel like they own the ability to create something. Focus the magnifying glass on the positive side. Categorías: Creación literaria, Psicología Infantil, Training&Aprendizaje | Tags: Art, arttherapy, gallery, learning, music, performace, Psychology, Science, theatre, therapy | Enlace permanente.